Sometimes you read a book and it is so delightful, you wish to be in its cocoon of contentment forever. Sal and Gabi Break the Universe by Carlos Hernandez is one such book. Sal Vidon just moved to Miami with his papi and his stepmom and is having trouble with Yasmany, a bully at school. Sal’s way of getting back at Yasmany is to place a raw chicken into his locker which then backfires when both Sal and Yasmany are dragged into the principal’s office. It is only the first week at Culeco, a performing arts middle school, but Sal is already in SO much trouble. It’s a good thing that Sal can well, sort of reach into parallel universes (which is where the raw chicken came from in the first place) and make things appear (or disappear: goodbye, raw chicken). Speaking of making things appear, there is another problem waiting for him at home: his mami. Although Sal’s mother passed away a few years ago, Sal keeps bringing back his other mamis from different universes. They never stay long: they couldn’t, since the results to the space-time continuum could be catastrophic as his scientist dad has explained multiple times (not to mention the strain to everybody’s emotions). Plus, they are not his real mami although some of them are close enough that he wishes she could stay. He hasn’t said this to anyone out loud, but sometimes Sal wonders if he looks enough and opens enough doors to other universes, he will find the perfect mami who will stay with his family. And then Sal meets Gabi Real. Student council president, editor of the school paper, Yasmany’s lawyer (!) and dedicated best friend and generally speaking, the smartest person in the room, always. 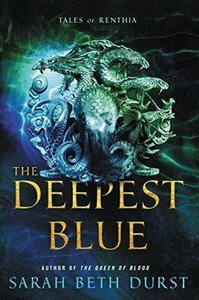 Sal and Gabi become close friends and allies, and Sal eventually opens up to Gabi about his weird skills and Gabi, whose newborn brother is in hospital fighting for his life, wonders if Sal’s powers could help her family. Another novel in the super great Rick Riordan Presents line, Sal and Gabi Break the Universe is science fiction meets parallel universes, meets awesome kids with supportive families just being nice to each other. 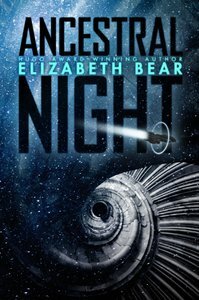 Since this is a Science Fiction and Fantasy blog it behooves me to say that there is just enough science fictional elements here to make the novel genre fiction but really, the biggest strengths here are the funny writing, the zany plotlines and above all, the emotional connections between the characters. From Sal’s family and the heartbreaking emotions they all experience whenever a new mami appears in their house to Gabi’s close-knit and loving polyamorous family (one mom, multiple awesome dads), from Sal and Gabi’s developing bond of friendship to their ultimate attempt to save Gabi’s young brother, it is all incredibly fun as well as moving. Even Yasmany, the bully, is shown as a complex kid with a difficult background—and Sal and Gabi are such nice, sympathetic kids who just want to help their friend. 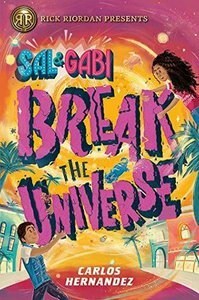 Sal and Gabi Break the Universe is a Science Fiction middle grade novel that is perfect for children just as it is perfect for adults like me who love children’s books too. 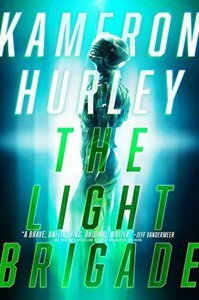 One last thing: I listened to this as an audiobook and it is one of the best audiobook I have listened to so far. The narrator—Anthony Rey Perez—did SUCH great work with the source material and I often found myself laughing out loud on the train. Highly recommended. 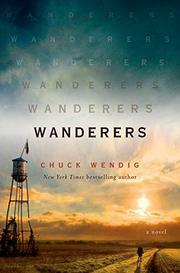 Wendig is clearly wrestling with some of the demons of our time, resulting in a story that is ambitious, bold, and worthy of attention.